At the Animal Clinic of Woodruff, we believe that pet oral health is very important to total body health. An unhealthy mouth—including dirty teeth, swollen gums, mouth infections, and other concerns—can lead to heart disease, kidney disease, pain, and other complications for your pet. To keep your pets healthy and happy, we recommend annual teeth cleaning for all of our pet patients. Ideally, pet dental care takes place regularly at home as part of your overall pet care routine. Our vet assistants are happy to teach you how to provide proper oral care and teeth and mouth cleaning for your dogs and cats at home. If you or your pet are not comfortable cleaning teeth at home, you can relax knowing that our pet care specialists have experience cleaning teeth for all kinds of dogs and cats. 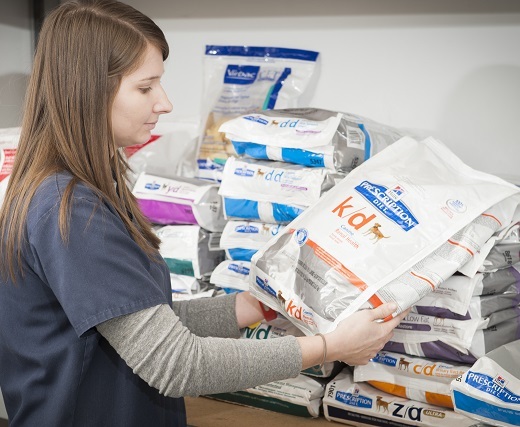 Our veterinary team has the knowledge to provide thorough care for a variety of oral health concerns, from regular cleaning to minor surgeries. Our veterinarian will administer anesthesia to sedate animals as needed, which helps pets stay calm and receive the oral care that they need.